Solid ash shafts and leather bound handles. Steel hoops and hoop mallet. Yard markers and plastic clips. Hardwood winning post and rules. 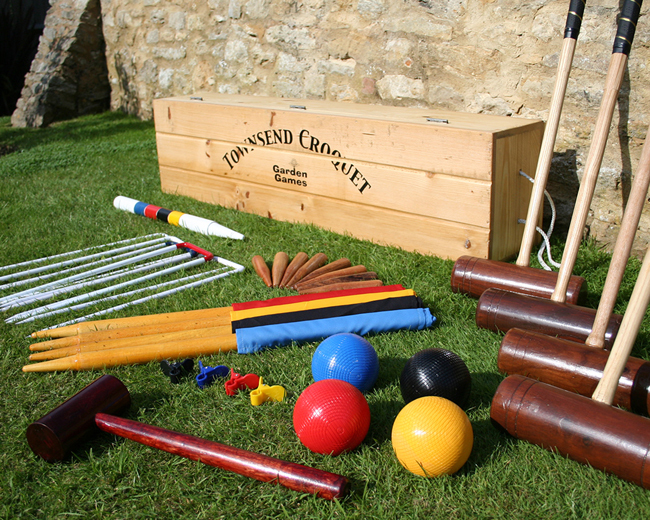 Presented in a solid pine storage case with latches and carry handles, this full size croquet set offers great value for money. 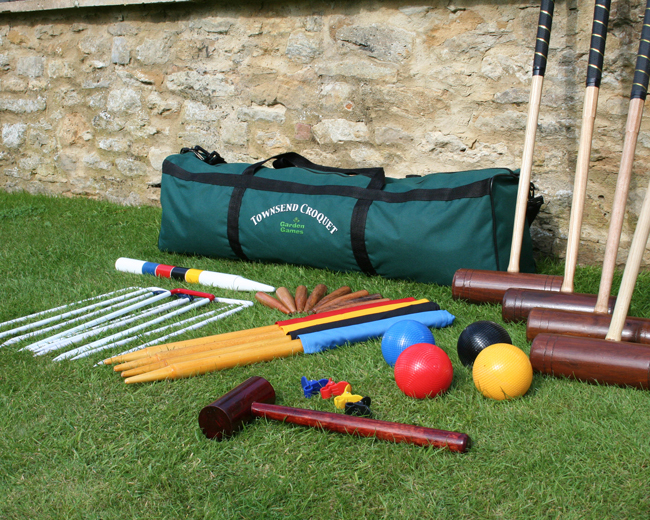 Perfect for the whole family to enjoy in the back the garden, this high quality set includes everything you need to play. The four mallets have solid ash shafts and the 16 oz plastic balls are brightly painted. 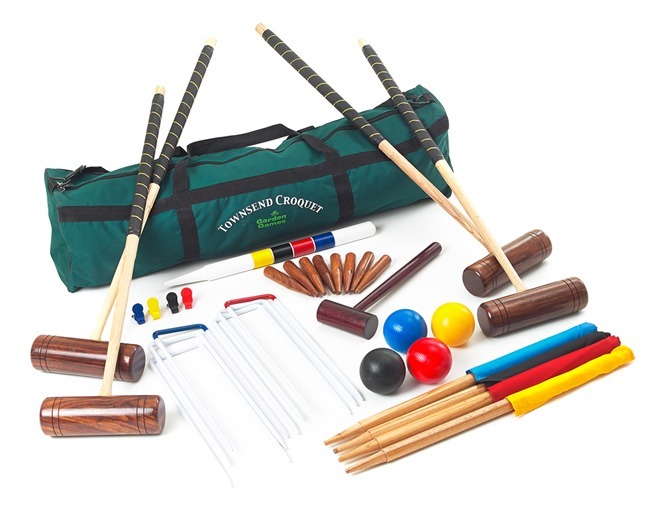 The hoops are made of steel and come with a convenient mallet along with all the other items necessary for this traditional game. An excellent gift set for all the family. 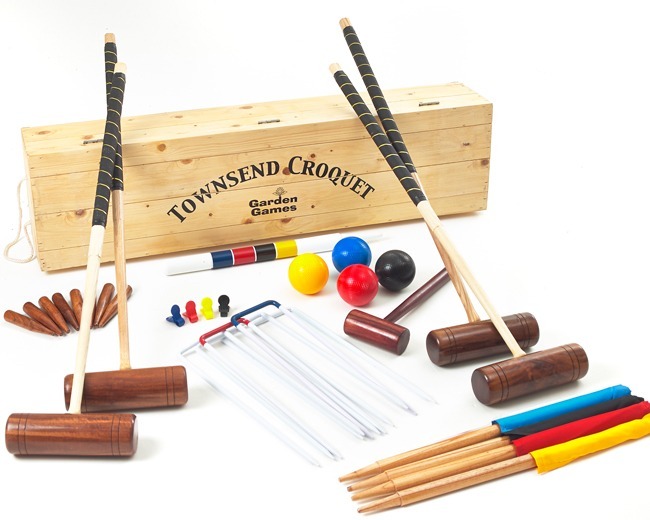 In a bag Townsend 4 Player Croquet Set . 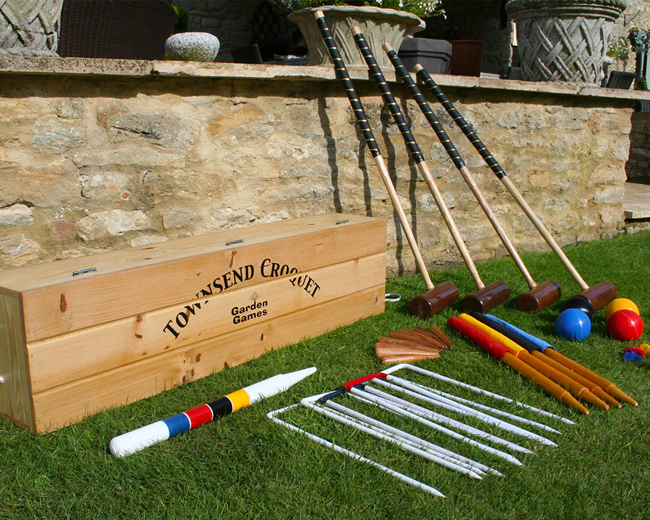 In a convenient tool kit bag Townsend 4 Player Croquet Set in a Tool Kit Bag.